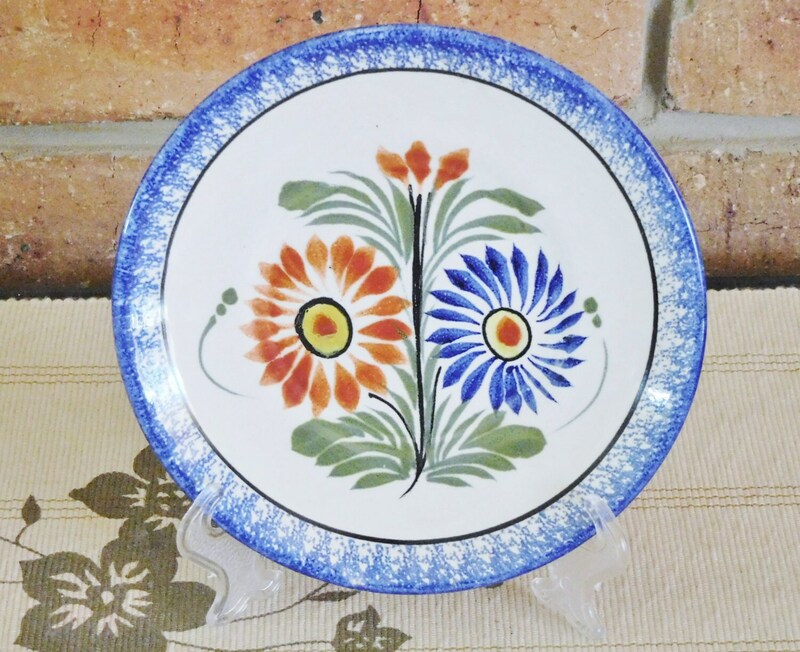 Henriot Quimper Fleuri Royale faience side bread plate in wonderful condition, with only the slightest touches of wear and a tiny flea bite along the right edge that is barely noticeable. The style of the lettering, in particular the letter Q, dates this piece to the 1930s. 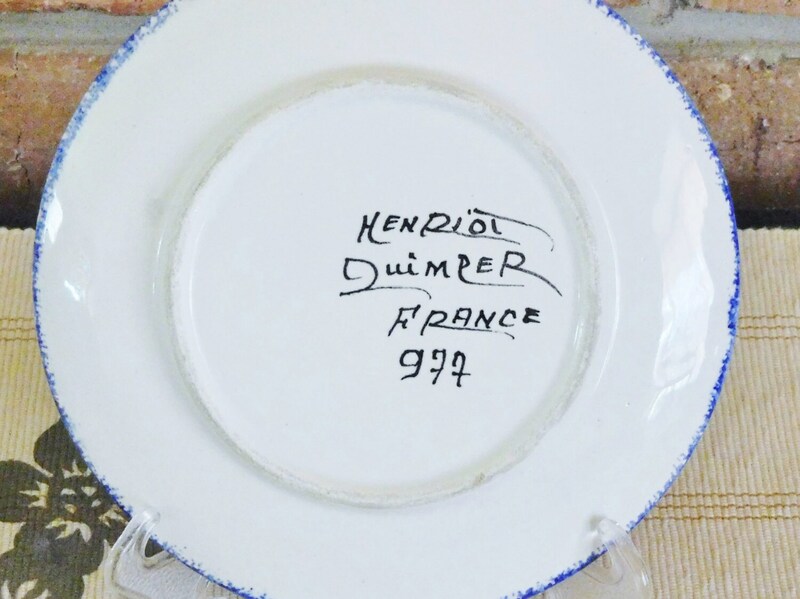 This would look stunning as a decorator piece in a French themed retro kitchen.